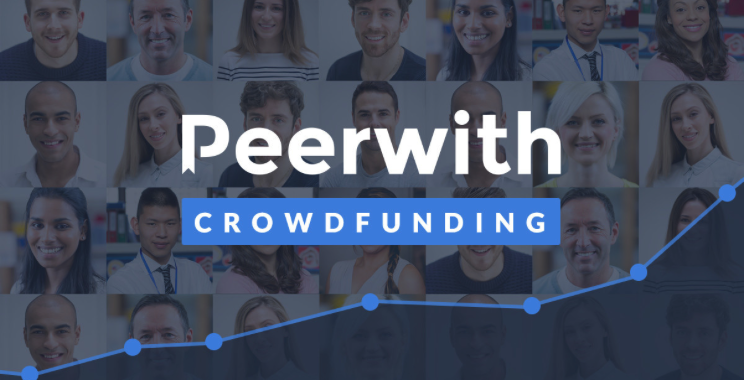 Peerwith have closed the initial, private phase of its crowdfunding campaign which was primarily aimed at experts active on the platform. A substantial part of the target amount was raised from this group. Now, we would like to welcome other interested investors to become Peerwith shareholders, to help raise an additional EUR 200,000 in equity crowdfunding. We finalized a Branded marketplace agreement with De Gruyter, a top-10 scientific publisher. This new partnership will have a significant impact on our plans and future business perspectives, allowing us to double or even triple the total volume of transactions and turnover by the end of this summer. If the KPIs we have from our other partnerships apply here as well, and we believe they can be trusted, we should be able to outperform the forecasts from the business plan for the second half of 2018 with this partnership alone. You may sneak preview the solution at https://peerwith.degruyter.com/. We managed to do a key hire with Yvonne Campfens. Yvonne has an impressive track record in strategy execution and general management in the scientific publishing industry. She will take on the role of Business Development Publisher Solutions. Yvonne also invested in this crowdfunding campaign. Read an interview on our blog. We are impressed by the average 28% growth per month in the period January – May 2018 which is purely organic and therefore an indicator that we might even be able to accelerate the growth trend from the referenced period. The business plan now includes an investment plan China expansion: a plan to enter our number one demand / end-user market, China. The author of the plan is another potential key hire in the role of General Manager Peerwith China with a proven track record in building a business in the relevant market from scratch. Once we raise sufficient funds, we will execute the plan. We launched the Cockpit application as a part of our Institutional Solutions offerings. The Cockpit application will be offered as a subscription-based Software-as-a-Service (SaaS). This will be combined with our regular per transaction service fee. We believe the launch of this new application will potentially increase our margins to well above 20%, within the institutional market segment B2B with more than 60,000 institutions globally. Read more about the Cockpit on our blog. We see first traction and first pre-payments for budgets in publication support. The timing is perfect for the rollout of the Cockpit application and it promises to bring in some deals before 2019. As an indicator, we just closed a deal for a $10k publication support pre-payment with a mid-size university in Colombia for the remainder of the year. To-date our focus has been on setting up successful partnerships with global publishers (e.g. Brill, Emerald, Hindawi). We will focus on consolidating this business and recently extended our 2 year exclusive partnership with Brill for another year. The solution is available on https://authorservices.brill.com/. In April we announced our new blockchain-based token for Science, PeerScienceCoin (PSC). This announcement received some notable press here and here. Read online how we facilitate crowdinvest in PeerScienceCoin through our equity crowdfunding campaign. We signed a partnership agreement with Clarivate Analytics, provider of ScholarOne, the number one editorial system in the market. We enable this partnership in a pilot for Emerald Publishing. We have come to a point where we can potentially upscale to joined promotion and sales activities. Peerwiths mission is to empower the experts. We are incredibly proud that a substantial number of these experts already invested in our campaign. This illustrates the trust from the industry and direct stakeholders in our unique peer-to-peer marketplace model. 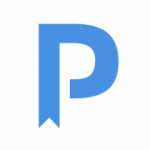 If you want to know more, a pitch deck and detailed business plan is available via www.peerwith.com/crowdfunding. It’s an exciting time for the Peerwith team. We look forward to welcoming investors as we enter our next growth phase. Join our mission now as an investor, invest in our Crowdfunding campaign: www.peerwith.com/crowdfunding.